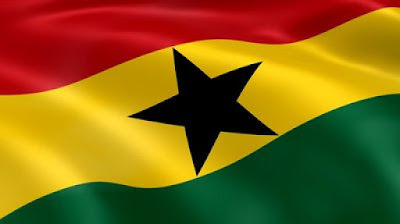 A report from Accra said on Friday that the Ghana’s parliament failed on Thursday evening to secure the two-third majority needed to change the presidential election date from Dec. 7 to Nov. 7. An unnamed source in parliament said that the Electoral Commission wanted to bring the vote forward to allow for a second round to be held if necessary and still have time for a smooth transition before Jan. 7, when a new government must be sworn in. The source said that the opposition New Patriotic Party (NPP) voted against the measure, arguing it would reduce the time available to the commission to organise the election. Meanwhile, Mike Oquaye, the Legal Secretary National Democratic Congress (NDC), said that the idea for a Nov. 7 election is good and many politicians had worked hard on it. The ruling National Democratic Congress and the opposition are competing for advantage ahead of what is expected to be a tight election between President John Mahama, who is running for a second term, and opposition leader, Nana Akufo-Addo. Ghana’s 2008 election went to a run-off and the NPP challenged Mahama’s victory in the 2012 election, leading to a protracted case before the Supreme Court. The case reinforced Ghana’s reputation as one of Africa’s most stable democracies.